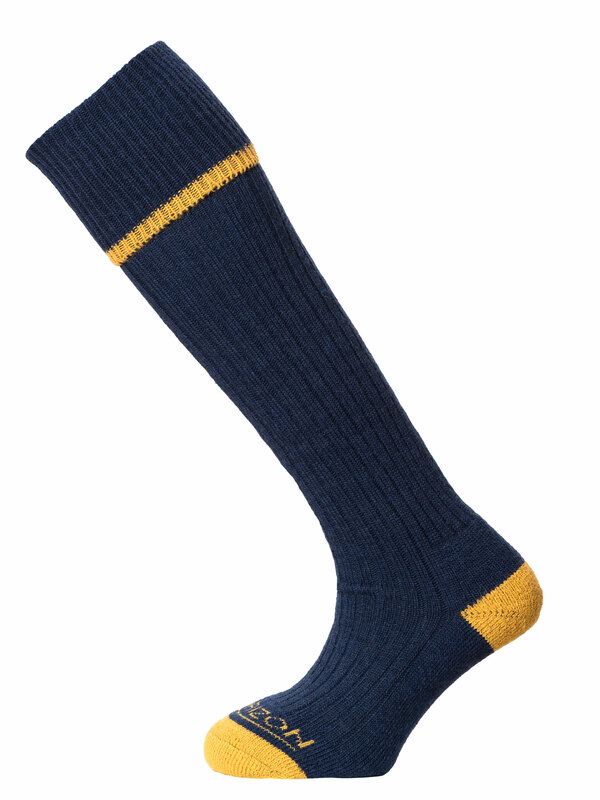 Made with a combination of super-fine 100% Merino wool, strong polyamide and Lycra, these traditional rib-legged turn-over-top knee length socks are luxuriously warm, incredibly hard wearing and offer a superb fit. The fully cushioned foot and high percentage of Merino wool ensures a higher degree of comfort and warmth whilst the generous turn-over-top and Lycra content gives the socks a sure but non-restrictive fit. These socks are ideal for all country pursuits.